In 1988 God called Sudan African Mission founders, Paul Douglass and his wife Marilyn, to go to closed Sudan . They responded with a hearty yes! Today, S.S.A.M. is managed by their daughter Bev Campbell, who works as the Director of Communications. The message of the saving Blood of Christ is knocking at the hearts of multitudes in Sudan! Jesus says in Matt 10:42 and again in Mark 9:41 “I tell you the truth, anyone who gives you a cup of water in my name because you belong to Christ will certainly not lose his reward.” Today this message has never had a more solemn ring to us blessed Christians. South Sudan African Mission endeavors to expedite the training of native Sudanese missionaries as ministers of the Gospel to return to Sudan to preach, teach, and show the good news of Christ to their people. 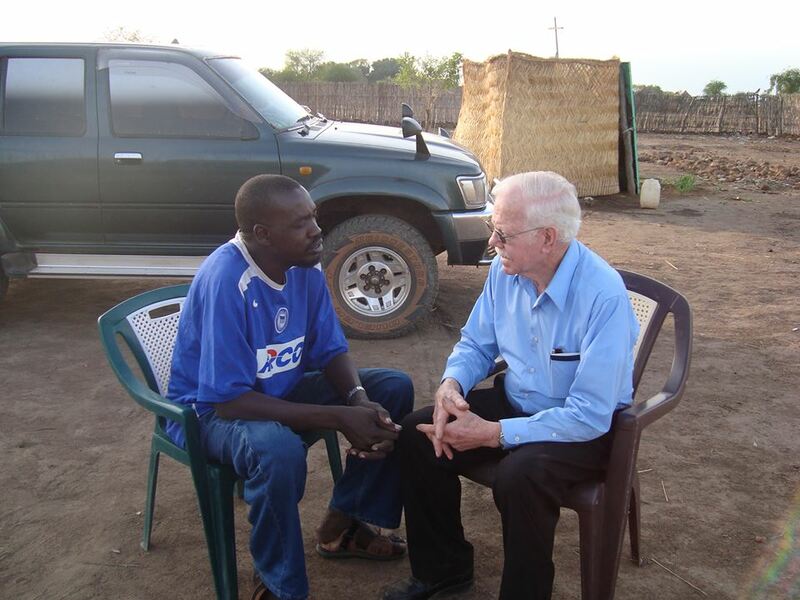 Establishing schools and New Testament Christianity in South Sudan. Paul Douglass, and his daughter Bev Campbell, have been essential to the success of Sudan African Mission. 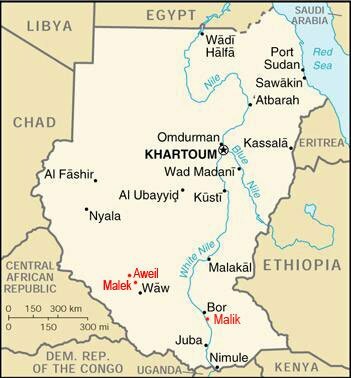 The Civil War torn country of Sudan has been ripe for the Gospel of Christ. South Sudan African Mission train Sudanese men to be evangelists to share the gospel in Sudan. Traveling by bicycle, these “circuit riding” preachers travel to various villages where they have established churches. There are 100 Native Sudanese, ordained Evangelists with college degrees preaching in their hometowns. They take turns today coming to Malek to teach 40 to 60 new Students in their own language at ABC (Aweil Bible College). There are now a total of 160 Evangelists, including students, serving Christ in growing churches in Sudan. Prayers requested!